I meet so many random people by asking them if I can snap a photo of their denim on denim ensembles, but none quite as random as meeting Ray Dennis last night, who’s long been a good friend on mine via Twitter, but we had never met in person. Leave it to a Canadian Tuxedo to bring us together. 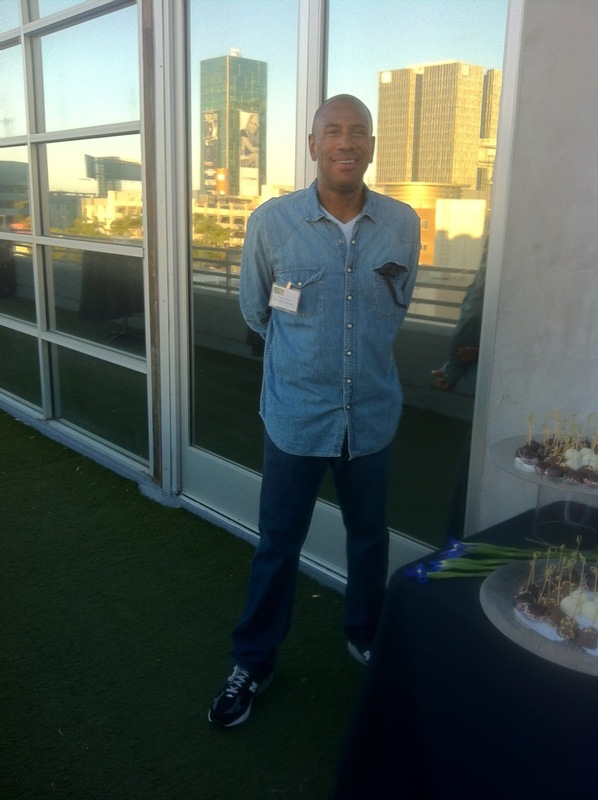 Ray, founder of ONE MEDIA Marketing, is seen here at #SMACLA at the What’s Trending studios in Levi’s jeans and a denim shirt from Gap. This entry was posted on Wednesday, June 27th, 2012 at 11:54 am	and tagged with Canadian Tuxedo, Denim, Denim on Denim, double denim, gap, Hollywood, Levi's, Los Angeles, Ray Dennis, Shira Lazar, SMAC, SMACLA, What's Trending and posted in In The Wild. You can follow any responses to this entry through the RSS 2.0 feed.